Executive Recruitment Consultants Australia | Senior Appointments – Recruiting Executive Staff. Senior Appointments - Recruiting Executive Staff. Senior Appointments – Recruiting Executive Staff. SCG looks at how best to go about your executive recruitment. In an ever increasing candidate short market, for some of the more specialist and leadership vacancies, rather than waiting for the right candidate to appear, executive recruitment requires a strategic approach underpinned by an intimate knowledge of your target audience. At Stonewater Consulting Group (SCG) our clients recognise us for our skills and expertise in offering insights and access to the most sought after executive candidates. In this report we share some of our Intellectual Property around why executives move and how to access them. 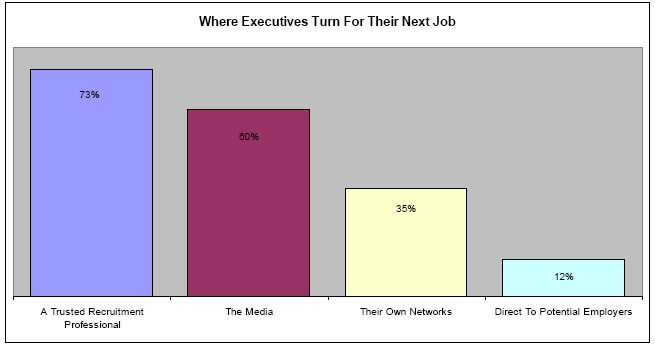 What Attracts Executives To A New Role? The main components attracting senior staff to a new position are the features and benefits of the role itself. 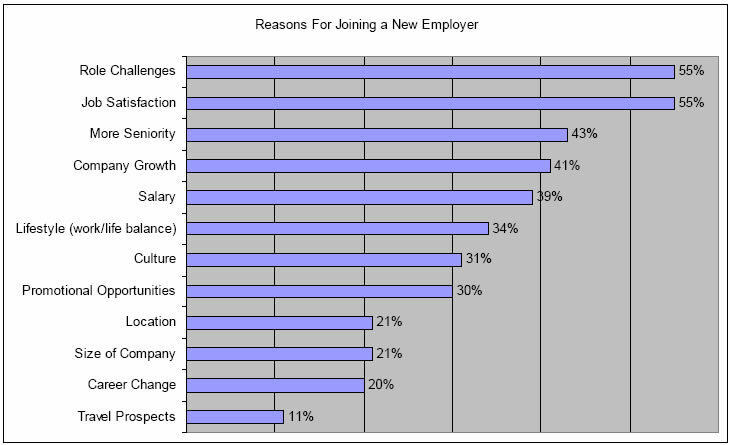 Company attributes and career benefits are secondary factors of consideration. Where Do The Successful Executives Come From? Since passive candidates outnumber active candidates by four to one in the executive space, having an extended network of contacts across your industry or functional expertise is an absolute necessity. 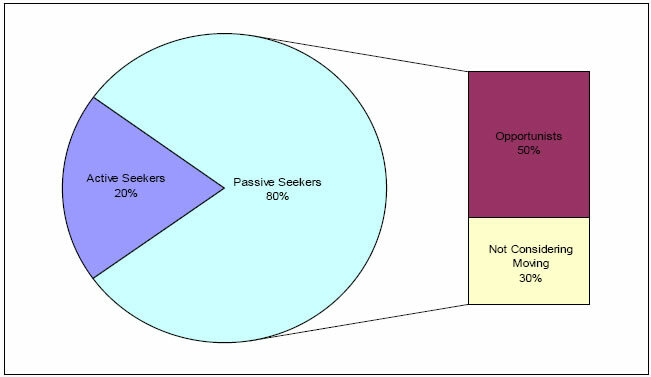 In our experience passive candidates have been opportunists who are happily employed, but have considered moving when the right position came along or people who are not consciously considering moving at all, however when approached were happy to engage in a dialogue about alternative opportunities. So why the current fascination to reach out and attract this elusive group? The principal reason is that many hiring authorities feel passive candidates represent some of the best talent in the workforce and are therefore worth the “hunt”. In short, their reputation and ability to deliver in their current organisation mitigates the risk of making a wrong hire. Whatever the case, it is irrefutable that companies need to devote considerable amounts of time and resources to vie for the attention and interest of passive candidates if they are to do their recruitment process any justice. At SCG we never underestimate the ramifications of an unsuccessful recruit and hence the importance of a structured approach to the selection process. Our research shows that embracing the very latest principles in market mapping, organisational psychology and modern principles of executive search are essential in finding the right candidates. These tailored search and selection programmes must be accompanied by relevant qualifying tools to minimise the chances of a poor selection decision. The key is generating awareness of your brand and raising your profile amongst the right circles in a systematic fashion and on a regular basis. Almost three quarters of executives surveyed would approach and engage a trusted recruitment professional as their first port of call when looking for their next career move. The reason? It takes a completely different type of process and communication to successfully network with passive candidates. Not only are the behaviour traits different, but the recruiting processes are complex and challenging. Understanding these differences and knowing the techniques necessary to successfully manage the relationship with these executives is an all important part of recruitment professional’s job. When looking at alternative opportunities, executives will typically use a familiar recruiter. Therefore the maxim that “recruiters work for the employers who have hired them, not for candidates” simply doesn’t apply. To be successful and assist their clients fill roles, recruiters and search firms must take an active interest in networking for and amongst candidates; both passive and active.